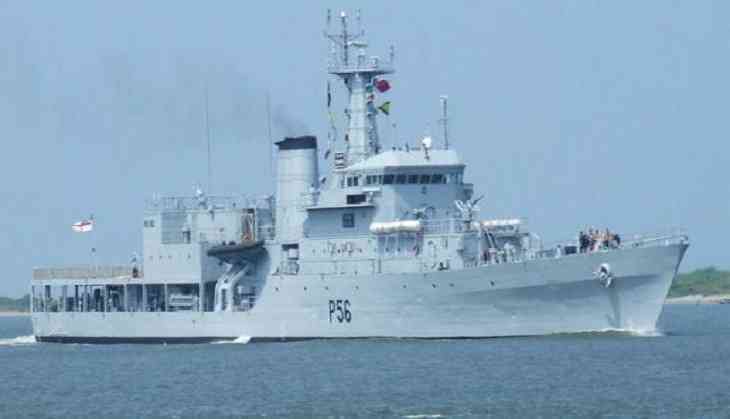 Indian Coast Guard Ship Varuna was formally handed over to the Sri Lanka Navy today at a colourful ceremony at the Naval Base, Kochi, in the presence of Rajendra Singh, Director General of the Indian Coast Guard. The handing over of the Indian Coast Guard Offshore Patrol Vessel to Government of Sri Lanka for training and surveillance purposes is part of India's continuing efforts for cementing the historical and cultural ties between the two countries. India has earlier also handed over two OPVs of the Indian Coast Guard - Varaha in April 2006 and Vigraha in August 2008. ICGS Varuna, synonymous with Lord Varuna, was commissioned into service on 27 February, 1988, by the then defence minister K.C. Pant and was decommissioned this year with traditional honours on August 23. It has remained the 'Alma Mater' for the Indian Coast Guard Officers over near three decades and has very glorious accomplishments to her credit.